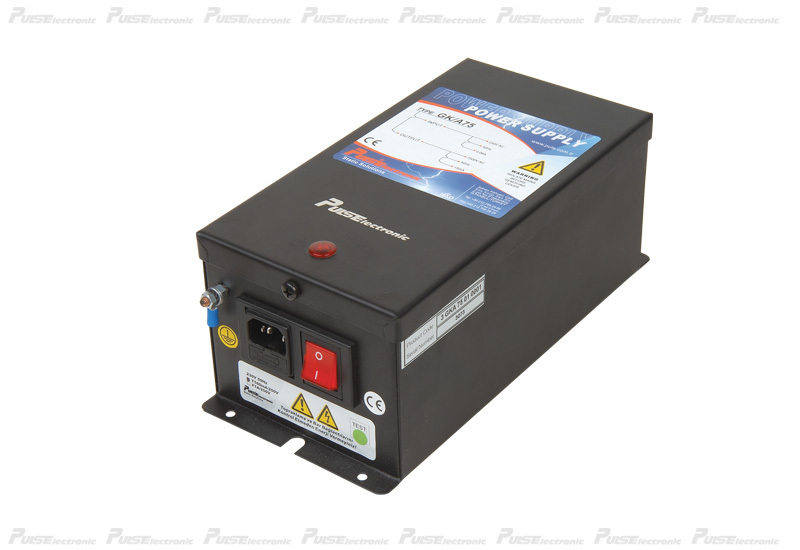 STATIC DISCHARGING POWER SUPPLY -7500VAC. Power Supply is source with high voltage generator designed for devices of active ionization. Its set-up and operation is simple in use and does not need any additional care. It is possible to supply the operation for more than one static bar. There is a protection card inside of Power Supply for the system security in case of short circuit. Power Supply cuts down current and disables circuit in connected to it high voltage cable of ionization devices or ionizer. That provides longer life and safety to the transformer, what is inside of power supply. : 220-230V AC / opsiyonel 110V AC.